Winters in Oklahoma are not for the faint of heart. With temperatures routinely in the teens or below it get downright frigid outside. Thus, even the bravest soul wouldn’t want to face the winter without their trusty furnace to keep their house nice and warm. So what do you do if suddenly your furnace won’t turn on? It may be a simple fix. The reason why your furnace is not working may be one of these five. 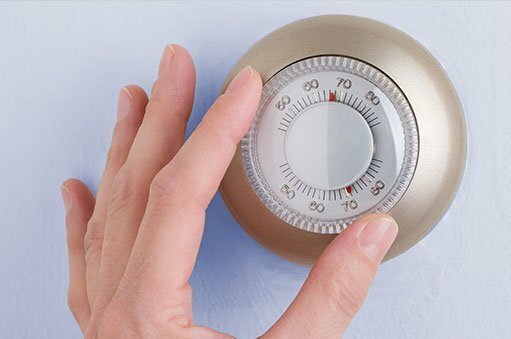 Issues with the thermostat are common reasons for furnaces not coming on. It may be that a setting got changed when someone bumped up against it. Check to make sure that it is set to ‘heat’. Also, see what the temperature setting is. It may be too low. Did you recently have a power outage? Check to make sure the battery isn’t dead. If the power went out and there wasn’t a battery to run the thermostat it may have reset itself to factory settings. Obviously, if the rest of your power is off, you’d know it. But the circuit breaker for the furnace may have been tripped or a fuse may have blown. What if it still seems that the furnace isn’t getting power but these easy fixes aren’t the problem? You’ll need to call a licensed electrician to examine your system. Changing the air filter on your furnace is something you should be doing regularly once each month as part of your maintenance routine. This keeps up the air quality in your home and helps your furnace to run more efficiently. If you’re bad about changing that filter, now’s a good time to check it. When the filter gets too dirty the heat exchanger in the furnace may overheat and the furnace will shut itself off for safety reasons. Furnaces have a pan that collects condensation and drains the water safely away from the mechanism. If this pan is full, the furnace won’t turn on. Check the pan and drain it. However, this may only be a temporary fix. You’ll have to investigate what is keeping the pan from draining as it should in the first place. Gas furnaces have a shutoff valve. Sometimes this can get turned off by accident. Another common problem is that well-meaning homeowners only open it partway, thinking that will be safer. However, this valve should be fully open for enough gas to freely move into the furnace. Alternatively, there may be enough gas flowing but the pilot light has gone out. Without that spark, your gas furnace can’t ignite. Get that going again and your furnace should kick on. These are all common reasons why your furnace is not working properly. What do you do if you troubleshoot all these and still can’t find the problem? That’s where we come in! We can do the advanced troubleshooting for you and offer quick, efficient repairs. We’ll have your furnace up and running again in no time!